BASSETERRE, St. Kitts -– Decisive steps to safeguard its financial services sector and to make sure that it is complying with international best practices and standards are being taken by the Federation of St. Kitts and Nevis with the passing into law of several bills designed to achieve these purposes. On Dec. 19, several amendments to bills were introduced in the National Assembly including Companies (Amendment) Bill, 2018; Financial Services Regulatory Commission (Amendment) Bill, 2018; Captive Insurance Companies (Amendments) Bill, 2018; Trusts (Amendment) Bill, 2018; and Limited Partnerships (Amendment) Bill, 2018. Minister Grant said that the listing of countries as Non-cooperative Jurisdictions for Tax Purposes by the European Union (EU) has many detrimental consequences for small island developing states (SIDS). “It is a well-known fact that the international tax standards designed by developed countries, primarily those countries that form part of the European Union and the Organization for Economic Cooperation and Development (OECD), continue to change rapidly with potentially deleterious effects for small countries like St. Kitts and Nevis,” Grant said. “As the international standards evolve, we [St. Kitts and Nevis] are forced to respond not only quickly, but we are forced to respond appropriately in the interests of maintaining the image of St. Kitts and Nevis as a responsible and respected partner in the global financial ecosystem. He indicated the EU Code of Conduct group assesses jurisdictions based on three general criteria: the first, being tax transparency; the second, being fair taxation; and the third, being the implementation of the Anti-Beps (Base Erosion and Profit Shifting) measures. 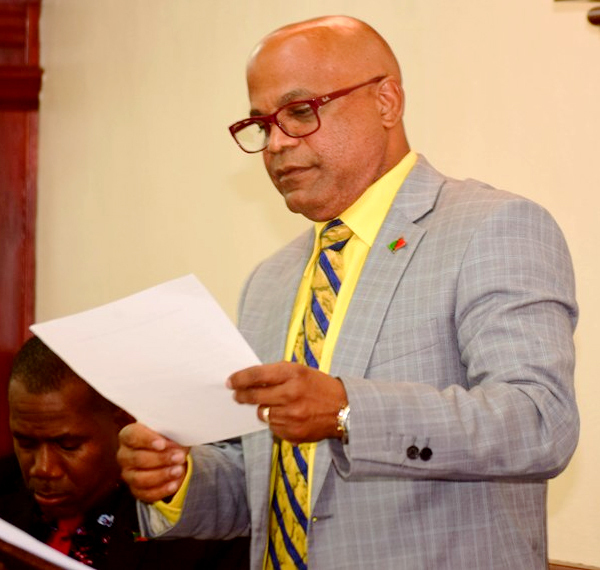 He said that St. Kitts and Nevis was deemed compliant with two of the three criteria, which were tax transparency and the implementation of the Anti-Beps measures. However, the Code of Conduct group and the OECD FHTP (Forum on Harmful Tax Practices), identified the Exempt Companies Regime in St. Kitts as being harmful and being non-compliant with the guidelines they set forth and so St. Kitts and Nevis was requested to amend or to abolish this regime by Dec. 31. to be compliant with the EU criteria, said Grant. Minister Grant highlighted that the several (amendment) bills introduced in the National Assembly on Dec. 19 have two objectives: one, to provide that finance business would only be applicable to licensed trust and corporate providers, and two, to expressly include individuals as corporate service providers of finance business.